Discussion in 'BIAFRA' started by charlhxe, May 7, 2018. Some few months ago, it was alleged that IPOB invented a new language. This is not true as IPOB only introduced the language back to reality. IPOB is working tirelessly to ensure that the Igbo heritage and that of her brothers are brought back to life and maintained. Do you know that "Nsibidi" was the earliest form of writing among Ndigbo and her brothers before Britain with her language overpowered it? You may say overpower but we can still bring our heritage back to life. This is one the major reasons IPOB and several other dedicated Biafran-restoration groups have sworn an oath to see that Biafra is restored. You and I have a part and role to play in the restoration processes so that in the end we can be sure of a brighter future. In this article, I have taken my time to highlight you on some interesting facts about our earliest form of written language, Nsibidi. It may sound unusual, this is due to the fact of Britain doing what they do best. As you read on you'll get to understand better and know more. 1. Nsibidi which is also pronounced, Nchibidi, Nsibiri, is a system of symbols indigenous to what is now Southeastern Nigeria that is apparently an ideographic script, with suggestions including logographic elements as well. 2. Research proves that the Nsibidi is at least several centuries old with evidences from excavated pottery and ceramic tools from the Calabar region with a range of dates from 400 - 1400 AD. 3. Languages which uses/used it include Igbo, Ekoid( spoken by Ejagham people of Cross River), Efik/Ibibio and other neighbouring people. 4. Nsibidi is primarily used by the Ekpe leopard secret society of Igbo, Efik/Ibibio, Cross River state, to mention but a few. 5. The Origin of how the word "nsibidi" came to be is yet unknown but is believed to originate the Ekoid languages where it means "cruel letters" due to its harsh laws as made by the secret societies. 6. 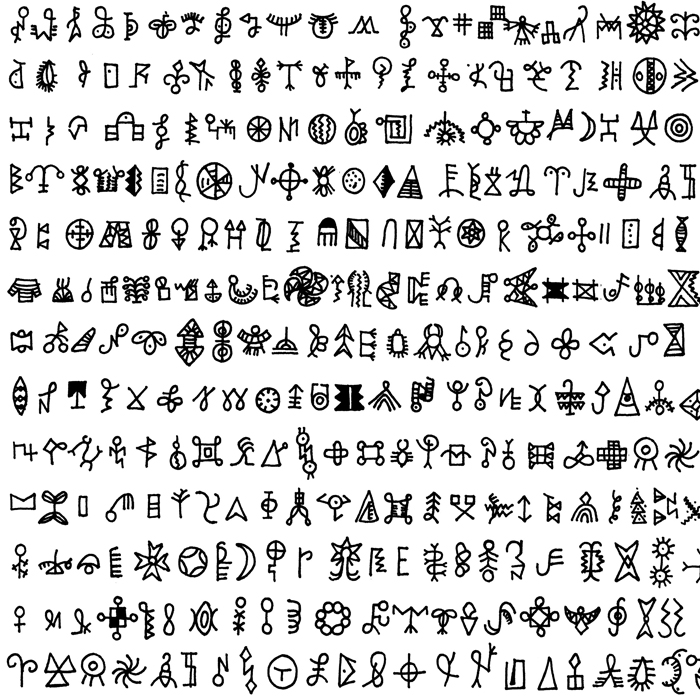 Outside knowledge of nsibidi came in 1904 when T. D. Maxwell noticed the symbols. 7. Before the British colonisation of the area, nsibidi was divided into a sacred version and a public, more decorative version which could be used by women. 8. 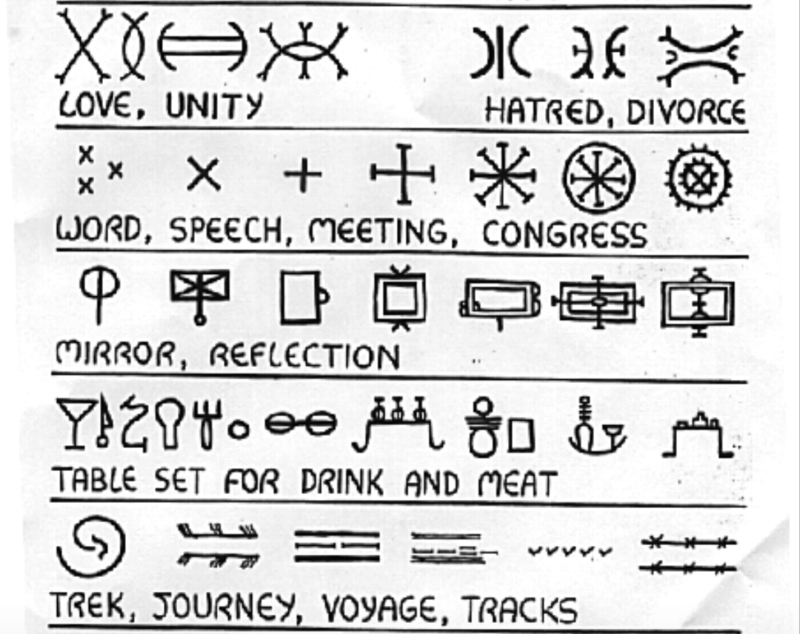 Aspects of colonisation such as Western education and Christian doctrine drastically reduced the number of nsibidi-literate people, leaving the secret society members as some of the last literate in the symbols. 9. Nsibidi is still a means of transmitting Ekpe symbolism. 10. Nsibidi has traces in Haiti and Cuba in which it was transported during the slave trade era by African slaves especially the Southeastern region of Nigeria. 11. In 1909 J. K. Macgregor who collected nsibidi symbols claimed that nsibidi was traditionally said to have come from the Uguakima, Ebe or Uyanga tribes of the Igbo people, which legend says were taught the script by baboons. Though his proves were later thought to be a misled one. 12. Nsibidi was used in judgement cases known as "Ikpe (Igbo language)" in some Cross River communities. 13. Nsibidi was the inspiration for the Wakandan writing system shown in the 2018 Marvel Cinematic Universe film Black Panther. That's all I can write on nsibidi as an early form of writing in Igboland and her neighbouring brothers. As Biafrans we should embrace this move made by IPOB to ensure that the legacy of this form of writing is maintained at all cost. Remember the 2006 UNESCO world forum where it was estimated that Igbo language will become extinct within 50 years. I know you wouldn't want that to happen. So please let us join our hands together and see that our culture and heritage is maintained at all cost. If you have any suggestion(s) to make or question(s) to ask, you can make it/them available through the comment section. Hope this post was educational and informing? You can let us know your mind on the topic! Thanks! Biafra & Oil: Is Britain With Nigeria Planning Another Genocide Against Biafrans?